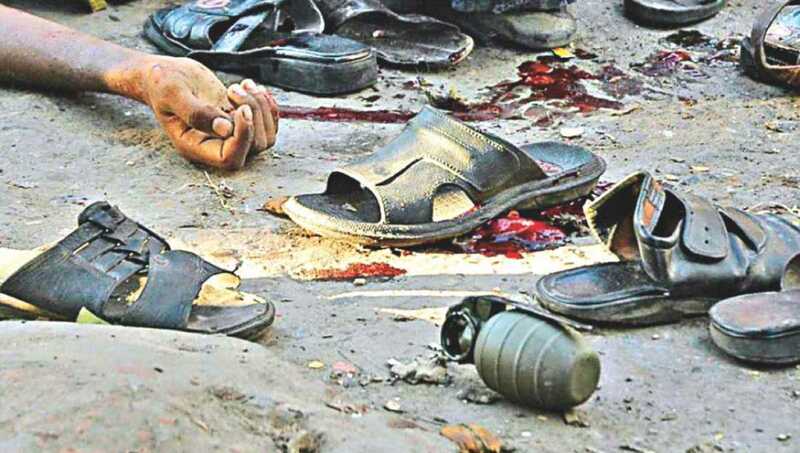 A total of 19 people have been sentenced to death while 19 others awarded life imprisonment in one case filed over the gruesome August 21 grenade attack on an Awami League rally in the capital in 2004. Judge Shahed Nuruddin of the Speedy Trial Tribunal-1 has pronounced the verdict around 12:25pm after a long wait for over 14 years. The 19 death-row convicts are: Former BNP state minister for home Lutfozzaman Babar, former BNP deputy minister for Education Abdus Salam Pintu, Mawlana Tajuddin, intelligence officials Major General (retd) Rezzakul Haider Chowdhury and Brigadier General Abdur Rahim, transport operator Md Hanif, militants Mawlana Sheikh Abdus Salam, Abdul Mazed Bhat, Abdul Malek, Shawkat Osman, Mohibullah, Abu Sayeed, Abul Kalam Azad, Jahangir Alam, Hafez Abu Taher, Hossain Ahammed Tamim, Moin Uddin Sheikh, Rafikul Islam and Md Uzzal. Those who have been awarded life imprisonment are: BNP acting Chairman Tarique Rahman, BNP leader Haris Chowdhury, former BNP lawmaker Qazi Shah Mofazzal Hossain Kaikobad, Shahadat Ullah alias Jewel, Abdur Rouf, Sabbir Ahmed, Arif Hasan, Hafez Yahia, Abu Bokor, Ariful Islam, Mohibul Muttakin, Anisul Mursalin, Mohammad Khalil, Jahangir Alam Badar, Mohammad Iqbal, Liton, Shafikur Rahman, Abdul Hai and Ratul Ahmed Babu. Moreover, seven people were sentenced to four years' imprisonment in the cases. They are-- former inspector generals of Police -- Ashraful Huda and Shahudul Haque, Khaleda Zia's nephew Lt Commander (retd) Saiful Islam Duke, former DGFI official (sacked) Saiful Islam Joarder, Maj Gen (retd) ATM Amin, former DC (South) of DMP Khan Sayeed Hassan and former deputy commissioner (East) of DMP Obaidur Rahman Khan. Ashraful Huda and Shahudul Haque were also fined Tk 50,000 in the two cases. In case of their failure to pay the money, they will have to serve another six months in jail. On the other hand, former IGP Khoda Baksh Chowdhury, former SP Ruhul Amin and former ASPs of CID Atiqur Rahman and Abdur Rashid were given five years in prison in the cases. The persons who are now fugitive in the cases are: Tarique Rahman, Shah Mofazzal Hossain Kaikobad, Mohammad Hanif, Maj Gen (retd) ATM Amin, Lt Col (retd) Saiful Islam Joarder, Babu alias Ratul Babu, Anisul Morsalin, Mohibul Muttakin, Maulana Tajuddin, Shafikur Rahman, Mufti Abdul Hai, Maulana Abu Bakar, Iqbal, Khalilur Rahman, Jahangir Alam alias Badar, Maulana Liton alias Zobair alias Delwar, Md Obaidur Rahman, Khan Syed Hasan, Harris Chowdhury.